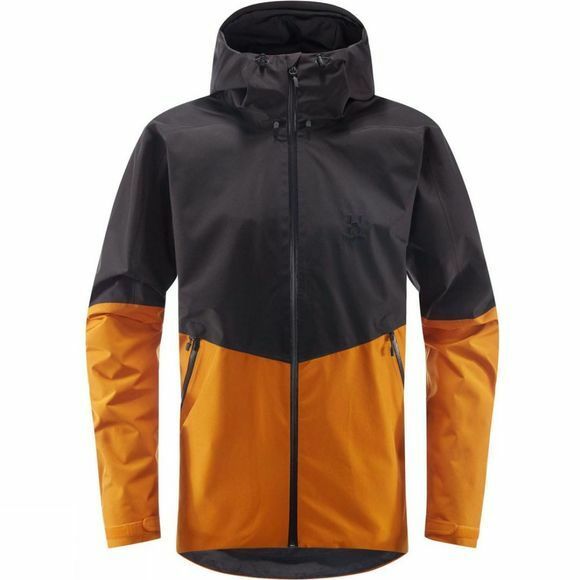 The Merak Jacket is a versatile two-layer GORE-TEX® shell jacket, bluesign®-approved, that offers well-balanced features and a high level of performance for the outdoor enthusiast. 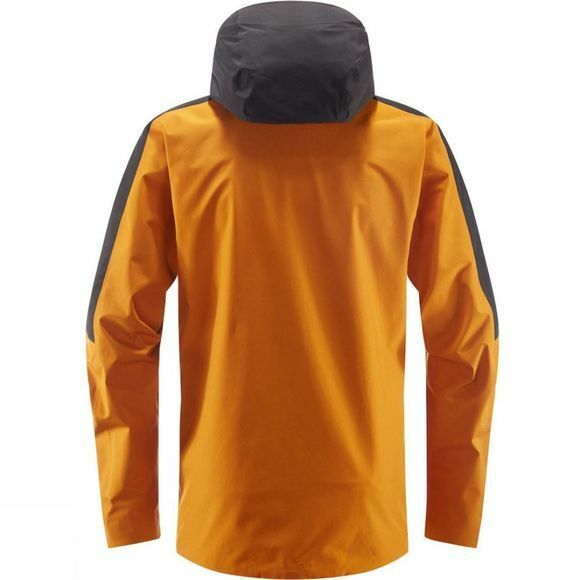 Breathable, protective, and fully articulated, it will let you get out and get active in the roughest conditions. Haglöfs was founded over a century ago in, Torsang, Sweden, by a forester’s son named Wiktor Haglöf, who designed and assembled a backpack for local workers. From those humble beginnings, the company has grown into one of the largest suppliers of outdoor clothing, and equipment in the world. Each Haglöfs product is carefully designed to work in harmony with another, be it backpack, sleeping back, boot or clothing. Versatility is key; after all, it doesn’t matter if running a boggy UK trail, sending technical alpine climbs, or trekking in Patagonia; whatever you’re doing, it’s more enjoyable with kit you can trust. Haglöfs core values of reliability, curiosity and pride are what sets it apart from other outdoor brands, and helps it to win over the not-so-easily-charmed customers. Reliability means that you can count on Haglöfs products to perform and last. Curiosity speaks to the company’s compulsion to constantly push forward, to innovate and evolve. Pride is about a true passion for everything they do, a passion perpetuated by the men and women who work for Haglöfs, themselves outdoor enthusiasts and former professionals.